Weight, wait… I didn’t know that! 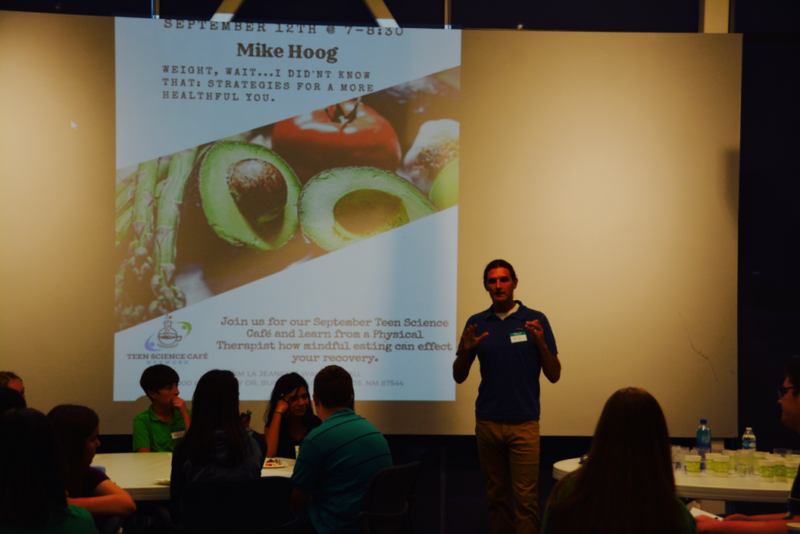 Presenter Mike Hoog talks to teens about making healthier eating choices. Strategies for a more healthful you! 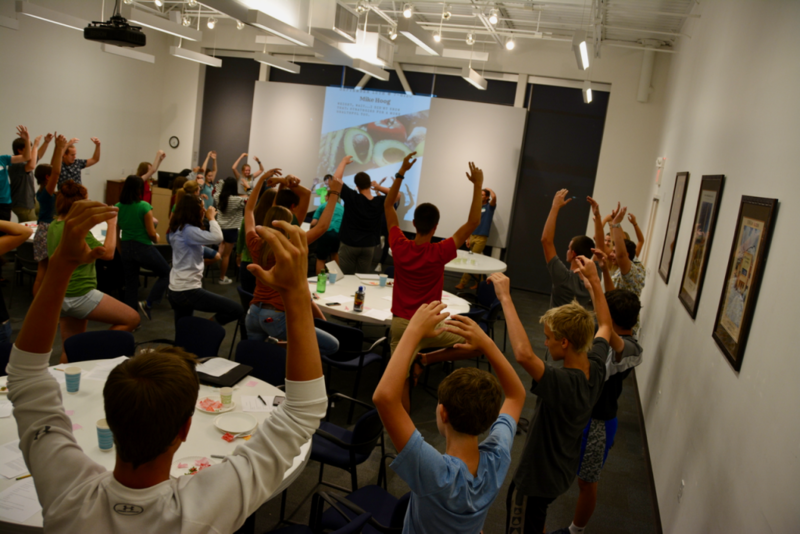 Cafe Scientifique New Mexico launched its 10th season of teen cafés with the topic of mindful eating and how our environment, marketing, friends, and perceptions cause people to make poor food decisions. Mike Hoog, a physical therapist, yogi, and Iron Man athlete engaged the teens in a short yoga session to help them focus and get mindful. After that, he gave everyone a chocolate and asked them to first smell it, then feel it, then put it in their mouth, with the caveat that they could not chew it. 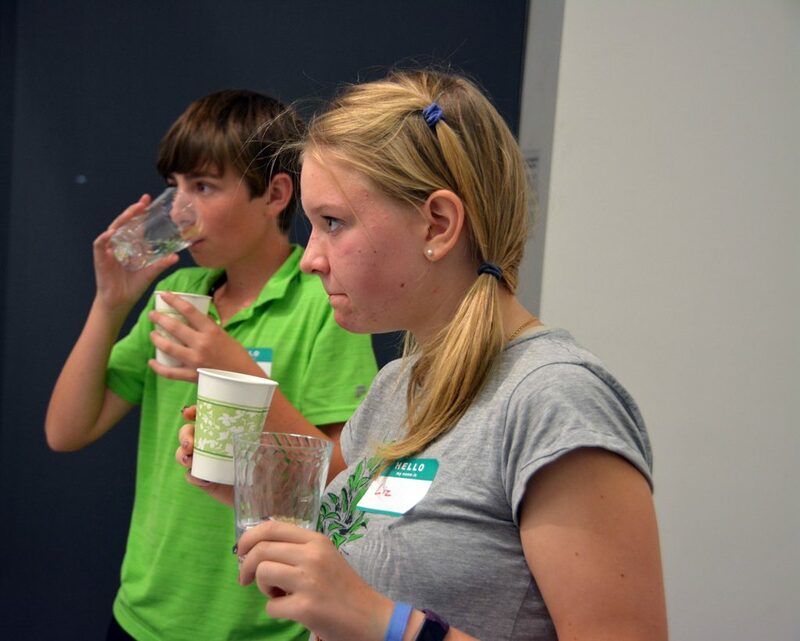 While chocolate was melting in our mouths and filling our sense of smell and taste with an overpowering experience, the presenter talked about what mindfulness is and how it pertains to health and well being. The focus of the café was how marketing and food design stimulate our brains to want to eat more than we need and to even eat food that is old and stale. Unbeknown to our audience, we served Doritos that had been open for 3 weeks, and many other stale foods and the teens happily ate them and went back for more. Research on food shows that even if something like 3 week old stale popcorn is given to people, they will eat at least half the bag, no matter how big the bag is, before stopping. Crazy right? But, we all fall under the spell at one time or another. Ways to be more mindful about eating were putting your fork down while you chew your food. Chew your food at least 20-30 times. Don’t eat standing up. Use a smaller plate, and know the size of a normal portion of meat (a deck of cards), veggies and fruit (the size of your fist). 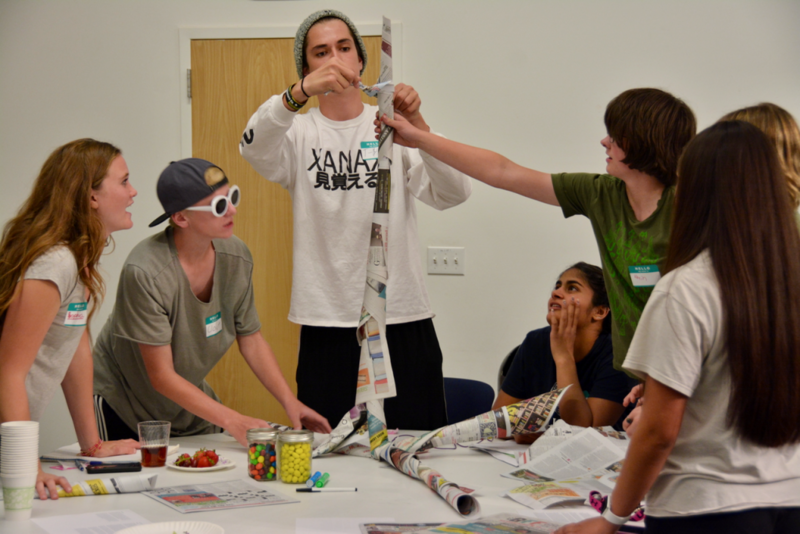 Our ice breaker was a challenge for teams to create the tallest structure using only newspaper. No tape, glue or anything else. stale. 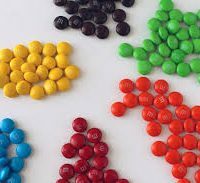 Jars of M&Ms werefilled and then yellow M&Ms were separated into a second jar to test the theory that the jar with more varied color appeal to our eyes more (see image below) . 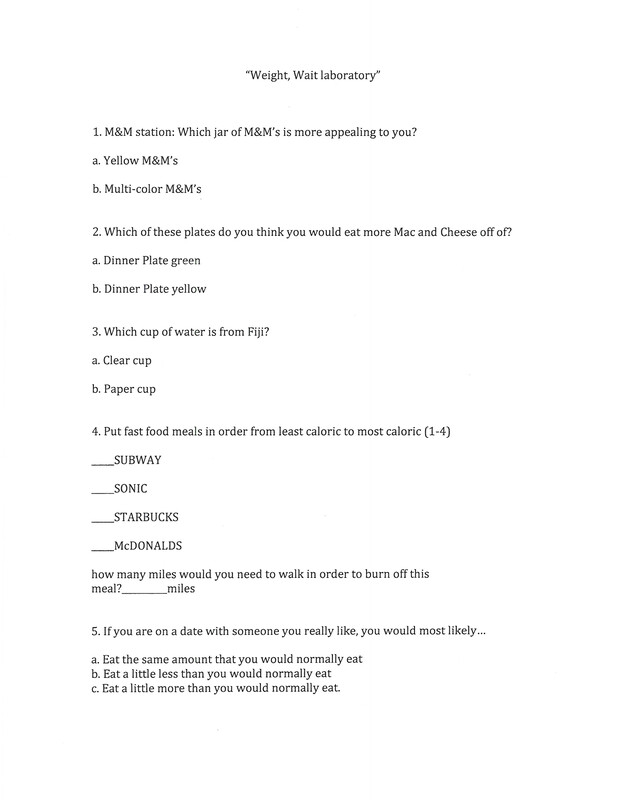 All of this junk food was consumed in the name of healthy eating to help teens understand why they make the food choices they do.